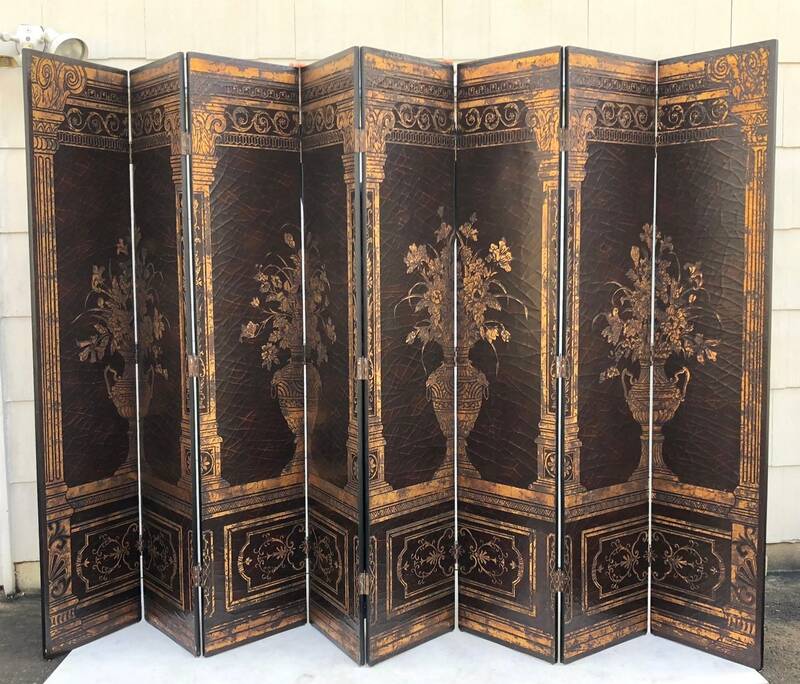 This impressive decorative room divider features 8 panel design which opens up to 12 feet wide at an impressive 8 feet tall. 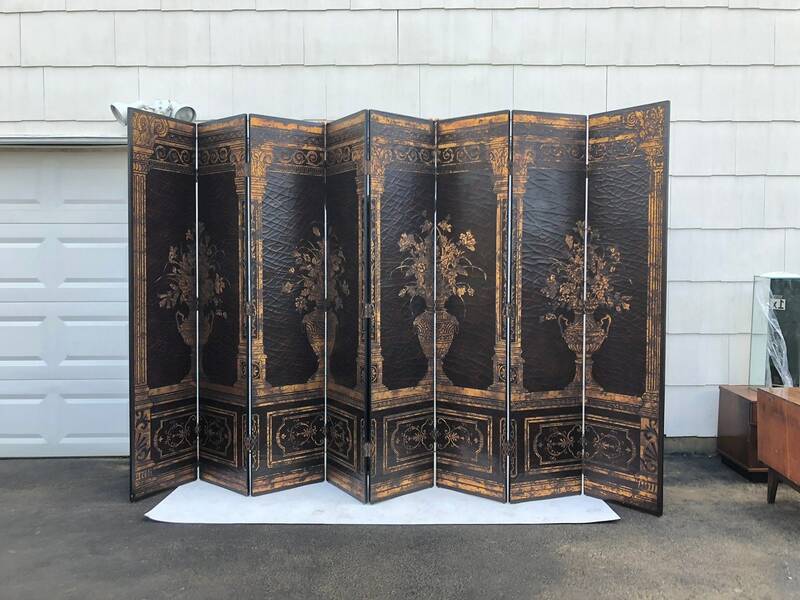 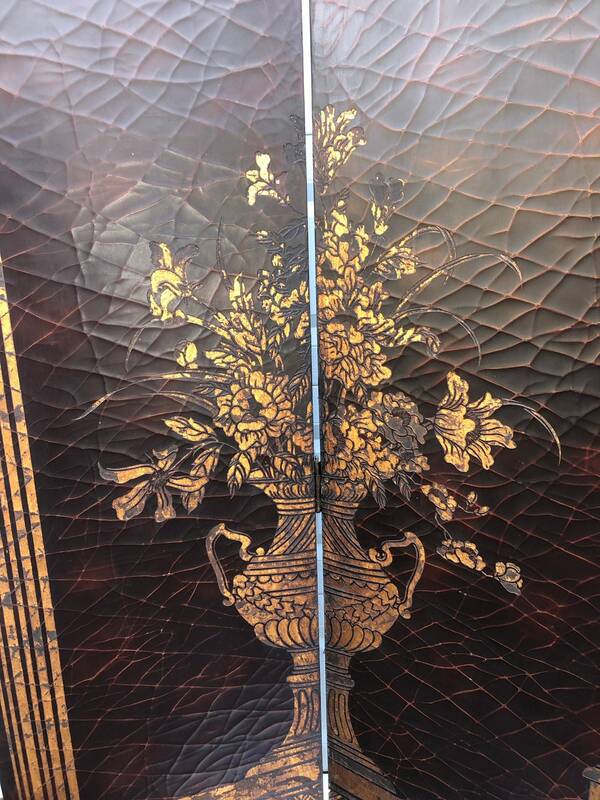 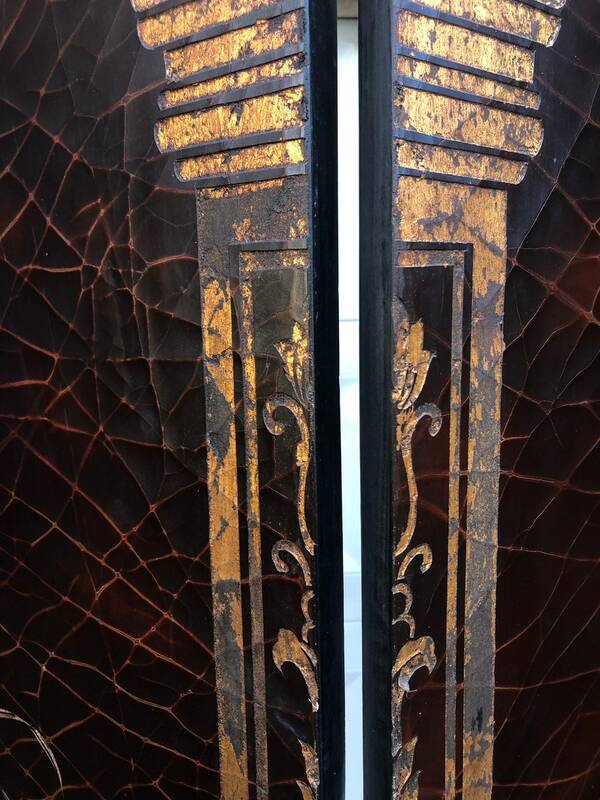 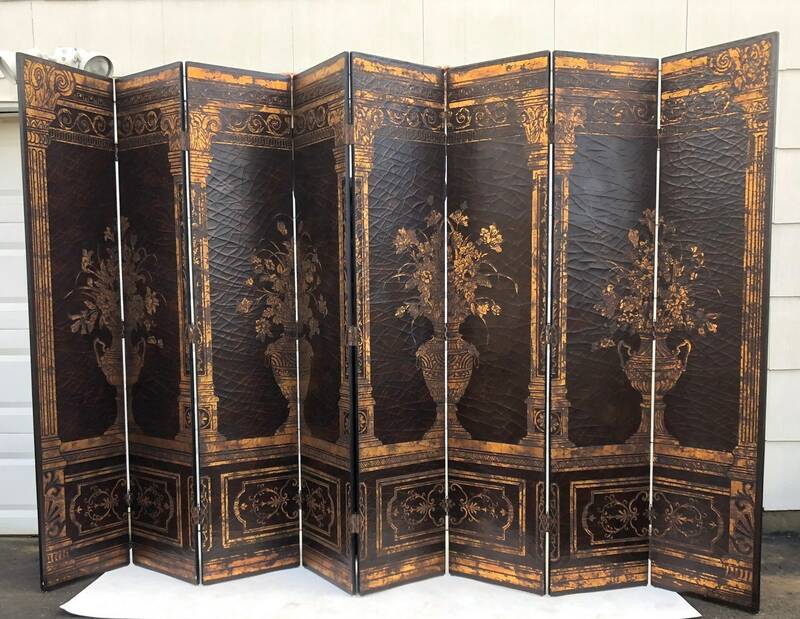 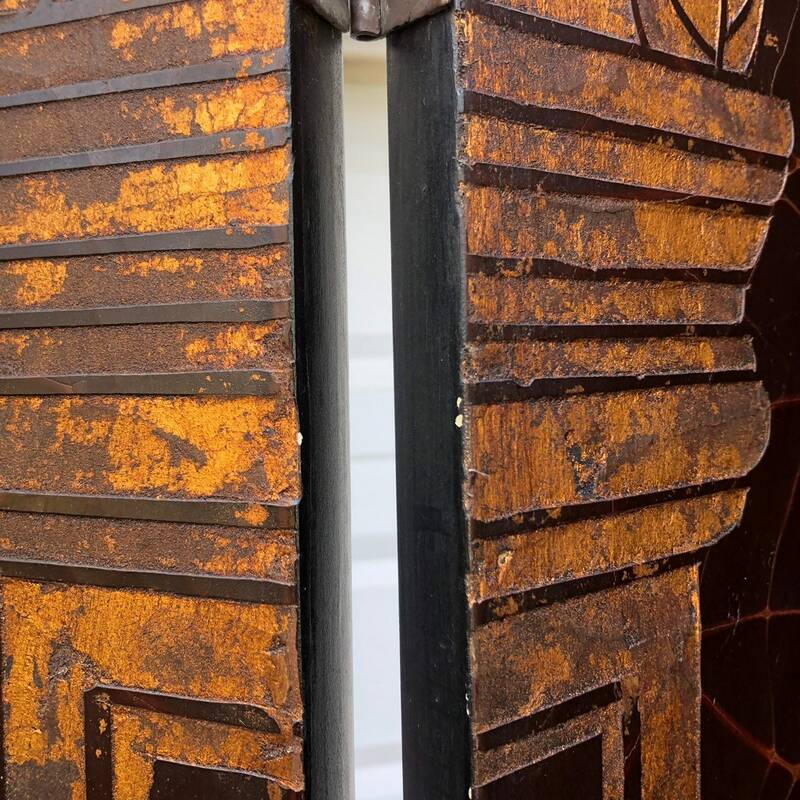 Antiqued crackle finish adds depth and style to this beautiful decorative screen, reverse side is in semi-gloss black finish. 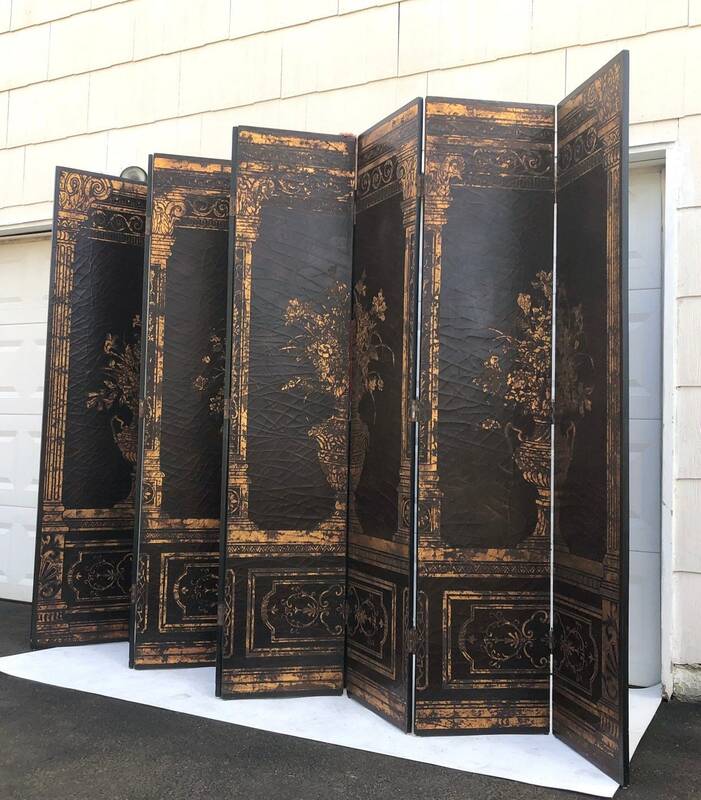 Ideal for splitting up a large work or living space into private areas, or adding decorative style to large open walls. 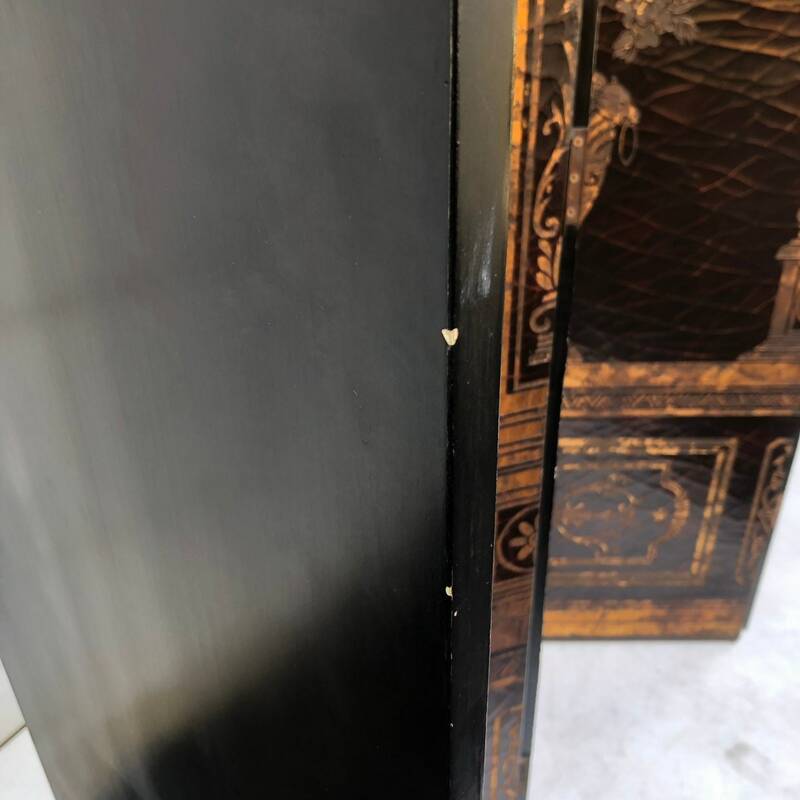 Condition: age appropriate wear, finish worn in areas, some scuffs/chips/edge wear, light oxidation, missing pin top on hinges. 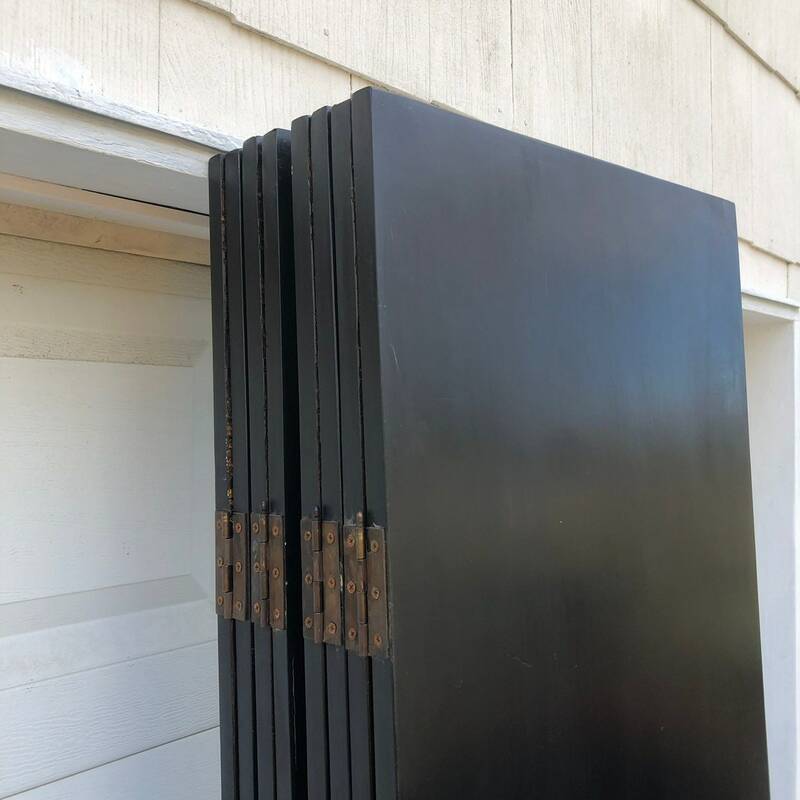 Shipping: Additional delivery options may be available. 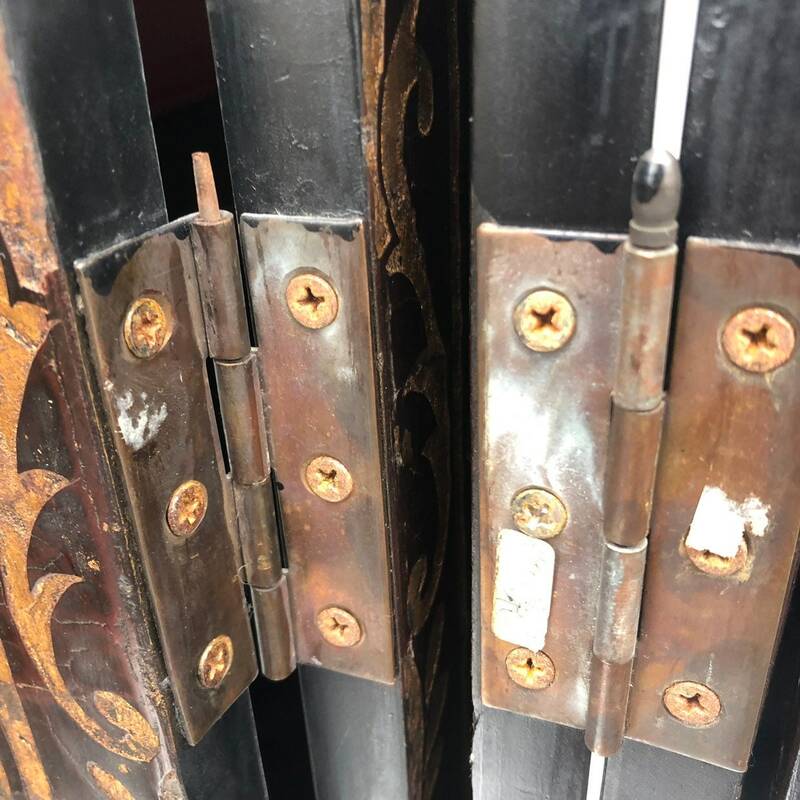 Please CONTACT SELLER with ZIP CODE for accurate delivery cost, thank you!